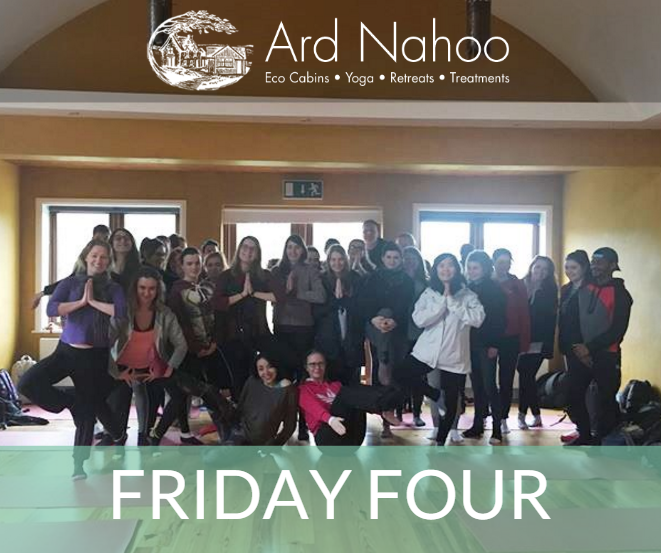 On Wednesday, a group of wonderful young students and their tutors visited Ard Nahoo from Sligo IT for their annual field trip. The Health Farm was truly brimming with life as they took a tour of the grounds and attended 3 half-an-hour presentations with local entrepreneurs. The presentations were given by Adventure Gently (guided canoe tour specialists), a local environmental expert and Noeleen herself took each group for a yoga class. Following presentations, the group sat down to lunch and had the opportunity of a Q&A session centred around business, with Noeleen. It was a wonderful experience and we hope that they enjoyed every moment of their time here at Ard Nahoo and would love to see them back again. This week, we had the honour of posting an extra special blog post from none other than, Professor Bill Mahony, a gentleman and a scholar. 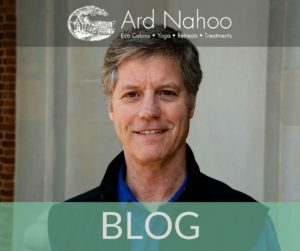 As mentioned previously, Bill will be visiting Ard Nahoo from March 8th-12th to kick off our 300hr Advanced Teacher Training with his opening retreat, “Heart Centred Body & Soul Immersion”. Don’t be put off by it’s part in advanced teacher training, as this first module is open to everyone! Speaking of retreats, we’re now into February so let’s give a shout out to our upcoming Yoga & Relaxation Retreat taking place the 24th – 26th of this month. Excited is an understatement, we just cannot wait to welcome some new and some familiar faces to this little piece of heaven in North Leitrim. Don’t fret if you think you’ve missed the boat, there are still places left and we would be delighted to hear from you! As we make the transition from Winter to Spring, it is not uncommon for those nasty chest infections and snuffly noses to make an appearance. A remedy, popular in Germany, and also popular with us here at Ard Nahoo, is Thyme Tea. Not only is Thyme a scrumptious herb that makes a fabulous addition to many meals, it can be harnessed for it’s medicinal properties. As with many things, there are of course some things to consider before trying this home remedy. Ingesting Thyme is not recommended if you have a history of heart disease, stomach ulcers or if you have a sensitivity to mint. It is also not advisable to ingest during pregnancy and lactation. Steep 2 tablespoons of fresh thyme (or 1 tsp of dried thyme) in 1 cup of boiling water for 10 minutes. Can be enjoyed as an alternative to coffee/tea if not for the purpose of remedying an upset chest or problematic cough. Drink up and let us know if you try this out! Bill Mahony – Professor, Practitioner & Scholar Past, Present & Future – Where do you want to live?